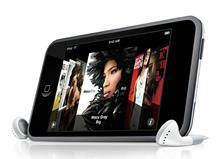 play YouTube/Google/Metacafe/Nico online video on iPod Touch. To convert video for iPod Touch, you need a video converter. Download and install Any Video Converter from this link. 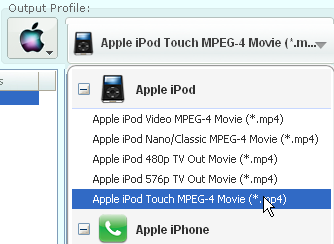 Launch converter and in the program, select Apple iPhone/iPod Touch MPEG-4 Movie from Profile drop down list.